Funded! Dieses Projekt hat das Fundraising erfolgreich abgeschlossen. h-aero® is a completely new and patented hybrid aircraft that combines the advantages of the three proven flight concepts of airplane, helicopter and balloon and eliminates their disadvantages. Hybrid Airplane Technologies has already developed and completed two aircraft systems, the h-aero® zero and h-aero® one ready for sale. Compared to conventional "drones", h-aero® is far superior in terms of flight endurance, safety, payload and capabilities. This proves especially in the field of agriculture and forestry. Surveillance flights which were previously only possible with manned systems, can now be executed with the h-aero® as the first unmanned system (UAV). For the client, this means a cost saving of around 20 times and a low-emission and friendlier option due to noise protection and no CO2 emissions. The h-aero® flight systems are designed for professional use and can perform multiple tasks in parallel. For example, several different cameras (night vision, infrared and thermal imaging cameras) can be transported and evaluated at the same time. In the medium to long term, the h-aero® concept will serve as a satellite replacement and elevation platform to bring telecommunications to remote parts of the world and avoid future space debris. For the first time in civil aviation history, a completely new flight concept is being scaled up commercially from small dimensions. The resulting technical knowledge should minimize future development costs and investment risks. In the next three to four years, larger scales will make it possible to carry people. Initial talks have already been held with Boeing and Airbus. Other well-known customers such as SAP, Allianz, WIRSOL, Deutsche Bahn and Lufthansa Technik are already convinced. With h-aero® , the air transport of sensors, goods and people will be much cheaper, safer and more environmentally friendly. In addition to classic fields of application, such as inspection flights over solar and wind power plants or the investigation of large agricultural areas h-aero® also offers completely new possibilities in the area of long-term observation and permanent data collection from the third dimension. The Hybrid-Airplane Technologies GmbH (HAT) has developed two production-ready products of the patented unmanned h-aero® flight system, which also represents an improved flight concept to fullfill tomorrow's needs. Already in the current sales versions unresolved tasks in the market for unmanned aerial systems (UAS - "Unmanned Aerial Systems") can be solved. Core competencies are in the areas of ultralight construction, hardware adaption of various payloads, as well as software development for autonomous flight systems including sensor technology and secure data transmission. h-aero® represents a new way of flying and is optimized to be powered by renewable energy. Research and development, as well as management of the company, which was founded in December 2016, is in the responsibility of the inventor and aerospace engineer Dr. of engineering Csaba Singer and his team. The patentee has been the Hybrid Airplane Technologies GmbH since the first round of financing in 2017. In the field of research and development, Hybrid Airplane Technologies GmbH works closely with universities and corporate partners. ultra-light solar cell modules are developed and produced specifically for aeronautical purposes together with the Institute for Photovoltaics at the University of Stuttgart. cooperation with Hochschule Pforzheim and the University of Potsdam. All of the development activities have and will be scientifically documented and are legally protected by non-disclosure and cooperation agreements. The R&D activities of the project receive far-reaching support by the Institute for Photovoltaics (Prof. Dr. Jürgen Werner) at the University of Stuttgart and from the TAO Group (Prof. Dr. of engineering Bernd Kröplin). Further support comes from the TTI GmbH, the start-up network of the University of Stuttgart. Cooperations with the Karlsruhe Institute of Technology (Prof. Dr. Rosmarie Wagner) as well as with the University of Arizona (Prof. Dr. Wolfgang Fink, Department of Electrical and Computer Engineering) have been confirmed. Csaba Singer (39) is the CEO, CTO and majority shareholder of the Hybrid-Airplane Technologies GmbH. He is an alumni of the Faculty of Aerospace Engineering and Geodesy at the University of Stuttgart and graduated with a PhD from the Institute for Solar Research of the German Aerospace Centre (DLR). 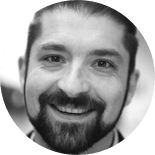 He is specialized in ultra-lightweight construction, computer technology and renewable energies and demonstrates fundamental knowledge and experience in project and human resource management. Christian Schultze (32) is management director and shareholder. He is responsible for the finance, sales and marketing activities at the Hybrid-Airplane Technologies GmbH. After studying macroeconomics in Kiel, he achieved his diploma in Communication and Advertising at the Bavarian Academy for Marketing and Advertisement (BAW) in Nuremberg. Mr. Schultze is specialized in media design, marketing and has a strong grasp of the technical aspects. 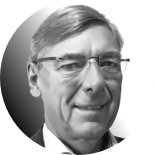 Klaus Schultze is founding member of the FEE project and future chairman of the supervisory board. After his career in aviation, being a jet pilot and deputy commander of the German Air Force, he was the sales manager and authorised signatory at the medium-sized company Börgadts GmbH as well as at the global corporation British Plaster Board (BPB) for the subsequent 14 years. In 2006, he founded the airline Fair Air GmbH and up to today he acts as certified compliance manager, safety manager and auditor. His experience in aviation in combination with his entrepreneurial competences are very valuable for us. Lars Drögemüller is responsible for the internal and external comunication of the HAT GmbH. He was an professional handballplayer and with that he has a huge amount of contacts, which help us in our early stage. 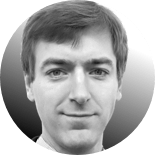 He studied economics in Heidelberg and is a qualified supporter for the business-management. Unlike the common flight concepts (multicopters, airplanes and mixed concepts), which involve purely dynamical uplift, our h-aero® additionally makes use of the static uplift generated from an elliptic helium bubble. Therefor h-aero® is as energy efficient as a Zeppelin or a balloon while remaining as agile as multicopters or airplanes. The VTOL (Vertical Take-Off and Landing) capability eliminates the need for a runway infrastructure. The flight system is able to achieve higher cruising speeds than helicopters. By using solar energy as a regenerative energy source, the autonomous 24h non-stop flight will already be accessible in 2018. On the opposing sides of the rotationally symmetric, lenticular hull two wings with fully symmetrical profiles are attached. The wings are built in a way that the frontal as well as the rear part of the wings can be folded around a specific angle. Using these wings, the hybrid aircraft is able to take on a rotationally symmetric (helicopter) as well as mirror symmetric (airplane) configuration. The hull is filled with helium and ensures an additional uplift. At the same time the hull provides enough surface area for solar cells and has a similar aerodynamic behavior as a Frisbee. A short-term goal is to supply the market for UAVs with a payload of up to 10 kg. In the medium to long-term we will realize larger-scaled versions for manned missions and autonomously flying airborne communications platforms. All innovative features are protected by patents (DE102006028885A1 and PCT EP2017/063221). In 2017, the word and design marks of our product line were registered internationally under the name „h-aero“ to ensure legal protection. h-aero® zero is our smallest model, built for private and semi-professional use and is convincing with its excellent flight duration, unique level of flight safety, high portability and its unmistakable and utterly novel design. Developed as an ultra-light plug-in system, the size of the complete carrier can be reduced to smaller dimensions of 110 cm x 10 cm x 5 cm and thus can be comfortably transported in a small bag. Due to the simplicity of the assembly, the global novelty h-aero® zero is ready for operation within 10 minutes. When fully set up, measuring 250 cm x 250 cm x 60 cm, h-aero® zero is clearly visible and therefore suitable as an excellent airborne advertising medium, guaranteed to attract considerable attention. Due to its size, flights within line of sight are possible at farther distances compared to multicopters. The external appearance of the h-aero® zero can be tailored to customers’ needs. For example, the outer shell can be delivered in different colours and provided with individual labelling. Equipped with a 4K camera, a board computer RPi v3 and a range of up to 2 km with a flight duration of up to 90 minutes, h-aero® zero is setting new standards for aerial carrier. The price is set between 4,000 € - 10,000€, depending on the equipment. h-aero® one is the logical evolution of the smaller h-aero® zero and was developed for professional and commercial use. With a payload of 3 kg and a flight duration of up to 5 h, h-aero® one sets new benchmarks and allows completely new applications. In contrast to other unmanned aerial systems, h-aero® one can fulfil several tasks at once. For example, several different cameras (night vision, infrared and thermal imaging cameras) can be transported and evaluated at the same time. The simultaneous acquisition and evaluation of chemical components in the air (e.g. the measurement of particulate matter) is also possible. Additionally, equipped with radio communications systems, mobile hotspots (e.g. for disaster management) can be set up. In comparison to other unmanned aerial systems, with a pay-load of up to 3 kg, the novel h-aero® one is not only considerably more safe but flies also considerably more quiet. Even eco-sensitive areas can be observed without disrupting or impairing flora and fauna. Due to its plug-in system, h-aero® one can be folded to a size of a ski bag and transported in a small passenger vehicle. In addition to almost every mission, the aircraft system h-aero® one can always serve as an „eye-catcher“ and as an advertising medium. Equipped with a portable LED-projector, moving images and animations can be projected on its bottom side. Thereby it turns into a flying, 3 m wide screen guaranteed to make a lasting impression. The price is set between 20,000 € - 30,000€, depending on the equipment. Since the flight at the StartUp summit in Stuttgart in July 2017, we are in negotiations with SAP SE. The software manufacturer from Walldorf plans to use the h-aero® one mobile system to provide mobile hotspots and to carry camera systems or sensors that collect data. Demand for the 24/7-surveillance platform, labelled h-aero® kite (25 kg), is higher than expected. The system sets itself apart as it is able to perform stationary flights non-stop for a period of two weeks, to be aimed at a specific point and to move into its direction at any time. The autonomous connectivity allows the system to be all-weather proof and simultaneously supplies the h-aero® with power. An appropriate offer is currently negotiated with a Southern European security company, a contact that was established at the AERO 2017. Expected Price: 60.000 € including R&D, warrants and commissioning. This system is currently in development. First and foremost, h-aero® zero and h-aero® one are unmanned aircraft systems (“UAS“). The dimensional scale of the future product line will allow manned flights and the construction of communication platforms at ideal heights, independent of the location. The feasibility of the concept has been proven and the development of serially producible, upgradable prototypes in two different sizes has been accomplished. None of the competing products is able to hover as well as master long distances or possesses the same amount of surface area that can be covered with solar cells, projections or LED-signs. Demand for the first products on the UAV market is high, resulting from the current safety situation and the widespread acceptance of the „pleasantly chubby UFOs“. Incidentally, the lighter-than-air technology already represents a unique niche within the high-potential UAV market. h-aero® is to become the most innovative carrier medium for the commercial market for UAS. 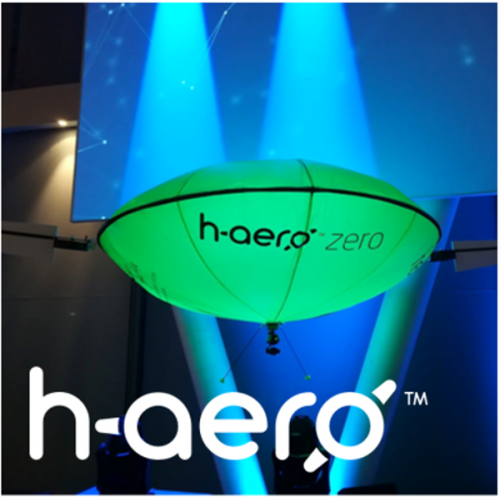 The start of sales for the newly developed h-aero® zero began in November 2017. In Q1 of 2018, 50 h-aero® zero are to be sold at a starting price between 3,500€ and 4,500€. In Q4 2017, the first revenues were generated by leasing the system at a daily rate of 1,500€. The development of the h-aero® one has also been completed. Sales started in October 2017. First purchase intentions are already available at a unit price of 25,000€. Today’s established flight concepts were initially not made for civil but for military use and often test pilots had to carry out the necessary test flights. In the age of digitalization new flight concepts can be developed much more efficiently, safely and in many respects less risky. A possible scenario of the dimensional scaling strategy is shown in the following image. In 2016, the world premiere of the prototypes took place during the international Aerospace Exhibition in Berlin, accompanied by a global media response. The enormous media attention was further increased by numerous public appearances in the first and second quarter of 2017 (U.T.SEC Nürnberg, CeBIT Hannover, AERO Friedrichshafen, VC-BW, GIIF, StartUp Night der Luft- und Raumfahrt 2017 (BMWi), Startup Gipfel BW 2017). HAT considers the direct distribution as a key strategy to supply customer oriented projects with predominantly jointly developed solutions. This is expected to result in larger profits. 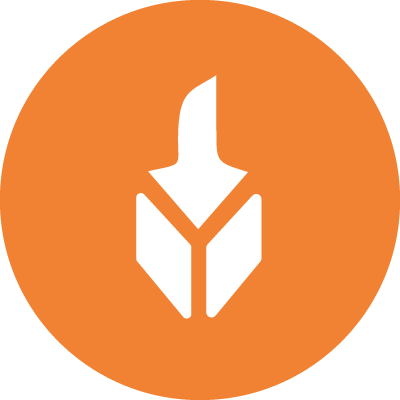 Direct distribution takes advantage of personal contacts, own projects or market niches. To successfully operate and persist in „mass markets“, HAT relies on the distribution via agents or agencies. These are individuals, in the market established associations or agencies located in other countries. HAT has a co-operation agreement with the company Rettinger GmbH, which essentially describes the sales process of h-aero® zero. For years Rettinger has been distributing multicopters and UAVs via the website „extremefliers.de“. In coordination with the production and engineering processes, these activities are carried out within a limited time frame and with limited quantities. HAT focuses its sales activities on Germany and Europe. Based on the sales strategies, HAT is setting up a marketing infrastructure for its flight systems h-aero® in individual countries in cooperation with contractually bound sales representatives and local agencies. Here, the focus lies on the compliance with geographical borders to avoid potential conflicts with customers and interests groups. Since the ILA in 2016 up to the latest quarter, we have attracted over 200 interested customers as well as cooperation partners from the B2B industry at four different trade fairs. Cooperations are presently focusing on conducting test flights with various payloads aimed for joint services. Furthermore, a consortium for the ongoing dimensional scaling of the h-aero® flight system has been established. The customer requests range from flights with a duration of a few hours up to autonomous 24/7-surveillance platforms. The entire market potential for the UAV amounts to 127 billion USD, as calculated by PwC (PricewaterhouseCoopers), of which 45 billion USD fall on the main part of the targeted customer market. While private UAVs currently are the global top sellers, large-scale commercial use still lies in the future, according to a statement made by FAZ in Nov 2016. The market is divided into private UAVs (multicopters of up to 250 g) as well as into professional commercial UAVs (multicopters with an empty weight starting from 5 kg). The safety technology of h-aero® makes it predestined to fly over crowds, both indoors and outdoors. This is due to the non-hazardous lifting gas helium as well as a result of the hull construction, which behaves like an unfolded parachute in any situation. As flagship project of the biggest umbrella association for UAVs in Germany, we are preparing for the legislative change on the 01/10/2017 in cooperation with the UAV-Dach e.V. (Remotely Piloted Aircraft Systems). Jointly with the UAV-Dach e.V., we will remain a provider allowed to fly over events, even beyond this day. The association acts as a consultant for the Federal Aviation Authority. The second niche concerns the long flight duration and the payload of our carriers. Due to their high consumption, today's commercial UAVs are not able to reach flight times of more than 45 minutes and are thus unsuitable for scanning large areas. In the area of resource exploration or the agricultural industry, the ability to fly long with increased payload capacity is imperative. Flight missions in these areas often require a flight time of several hours. Currently, only manned systems such as helicopters or airplanes can meet these requirements. With h-aero® , for the first time, such missions can be carried out unmanned, completely emission-free and at drastically reduced costs. Due to the current safety situation and the possibilities for airborne data acquisition, both niches are in high demand. h-aero® is a sustainable and safe way up to the third dimension. It is said to be the best, greenest, airborne vehicle for commercial observation, research and communication applications. For decades, the University of Stuttgart has been researching new ways to fly. However, it is only through the development of radio controlled remote controls, 3D printers, new composites and adequate calculation and simulation software that it is possible to develop new flight technologies as cost-effectively as never before. Our models are small at first, but they can map all functionalities and already satisfy the first markets. The size up is almost freely scalable and the result of German engineering. The ability to offer h-aero® telecommunication solutions, which have clear advantages over the current Google (Loon) and Facebook (Aquila) approaches, requires a relaxed communication. And that's why we decided to do crowdfunding. We want to give you the opportunity to participate in a vision that comes from the gravity center of Europe's Innovation Center Nr. 1 Baden-Württemberg. h-aero™ offers a solution for the global market with unimagined possibilities and functions. Cost-effective and without emissions! One important factor is the social acceptance of our technology. Also because of that h-aero™ takes the opportunity to find investors in the crowd. (target case) 67% IRR (internal rate of return) p.a. (base case) 53% IRR (internal rate of return) p.a. With your investment you are entitled to participate in our contest. Among all participants we are giving away a limited h-aero® zero "SpaceStarters Edition". Further information as well as the conditions of participation will follow soon under the tab Updates on the campaign profile. Good luck to you, your h-aero® team! The first 30 investors who invest 250€ or more will receive a basecap with a high-quality logo. The first 25 investors who invest 750€ or more will receive a softshell jacket with a high-quality logo and an "Early Bird Investor" Patch on it. From an investment of 1,000€ you get 5% discount for the purchase of a h-aero® zero. Meet the founders of h-aero® at an event of the Hybrid Airplane GmbH and get a deep insight into the future of flying. Control a h-aero® and convice yourself of the easy use. From an investment of 2,500€ you get a 15% discount for the purchase of a h-aero® zero. Receiver can choose one of the rewards. For an investment of 5,000€ or higher you get 30% discount for the purchase of a h-aero® zero. Or you receive a personalized h-aero® for one day. Make an eye-catcher for your event. From an investment of 7,500€ you get a 50% discount for the purchase of a h-aero® zero. Receive your own h-aero® zero in the limited SpaceStarters Edition with your investment of 10,000€ or more.